Riiiiight on the heels of the Beebz talking smack on Prince William's ever-thinning hair, a lecturer at UPenn's Wharton School of Business was inspired to study the societal effects of male head-shaving after he took a razor to his own thinning locks and noticed that people began to treat him more "deferentially." 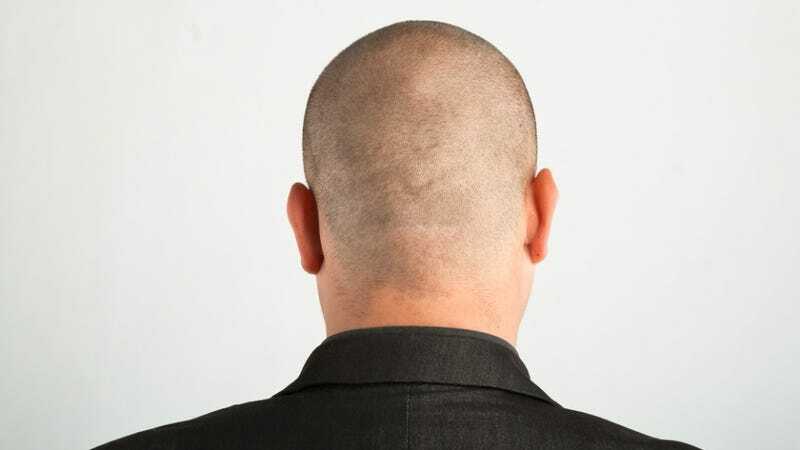 Three subsequent studies he conducted on the subject, now republished in the Social Psychological and Personality Science journal, show that men with shaved heads are perceived as more "dominant, powerful, influential, and authoritative," adding that that the bald men were, on average, thought to be one inch taller on average than guys with hair. However, they were also perceived as less attractive and four years older. The head researcher (GET IT? GET IT?) has some theories for why this is: that shaved heads are prominently associated with traditionally-male professions (e.g. sports, the military, law enforcement), and also, given the importance of hair in American culture, it takes "confidence" to shave it all off. Ultimately, it's dudes with thinning hair who are fucked: they scored the lowest on every trait—except "conventionality"—and the researcher suggests that they just go bald already. How many people do you think have forwarded this to Wills' clandestine email address, future_kingzies@wales.biz?